After weeks of anticipation and dropping singles, Rae Sremmurd finally released their triple disc album SR3MM. There are 9 songs each on the group album, Slim Jxmmi and Swae Lee sides. The duo returned to The Breakfast Club this morning to chat with Angela Yee, Charlamagne Tha God and DJ Envy. 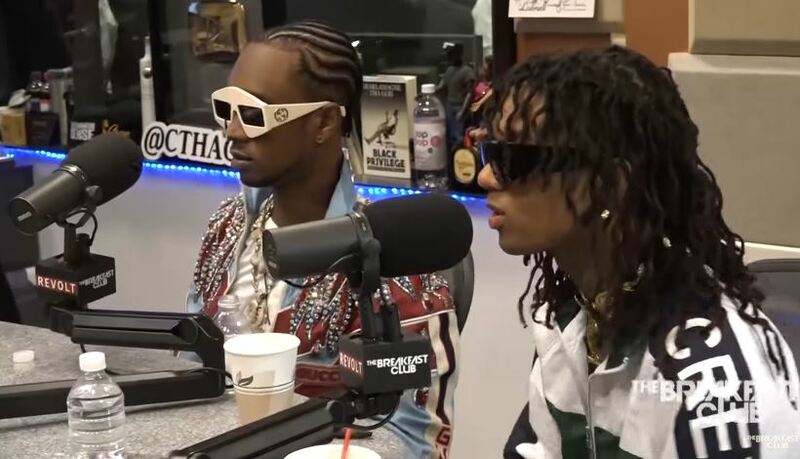 They talk about dropping a 27 song album, chemistry between them, the crazy house parties at their place, women issues, Jxmmi welcoming his first child, competition with Migos, bad experience with edibles in Amsterdam, and more. The duo also become the second act to smoke marijuana in the Breakfast Club studio. Watch the interview below.